A chef should be hygienic by staying clean (and keeping the kitchen clean) and nothing ensures this than a chef’s coat. The kitchen can get messy that it is almost impossible for the chef not to get spills and splashes on them. Not only does a chef’s coat protect the chef’s skin from getting burned if these things happen to be hot, it also keeps the clothes they are wearing underneath clean. By keeping the clothes clean, it makes life easier as the chef doesn’t need to carry an extra pair of clothes to work. He or she can just remove the coat and carry on with other non-chef duties without looking messy. The coat takes all the stains from food remnants that would have ended up on the chef’s clothes had they not been wearing it. A comfortable chef is an efficient chef, and many chef’s coats are designed to maximize comfortability. Just because an apparel is worn for protection, doesn’t mean it shouldn’t be comfortable. One way it maximizes comfortability is by ensuring the chef remains cool since it can get pretty hot in the kitchen. This prevents them from perspiring profusely and getting an elevated body temperature thanks to the breathable fabric that chef’s coats are made from. Not only that, the fabric of these coats is also flexible enough to allow the chef to move around the kitchen with ease. The material of the fabric is also lightweight, which prevents the chef from getting weighed down (with the long hours that a chef works in the kitchen, wearing something heavy can lead to a lot of pain). The chef is essentially the boss of the kitchen – the person that all kitchen staff look up to for leadership and guidance. Nothing reinforces this concept in the mind of kitchen staff better than wearing a chef’s coat. 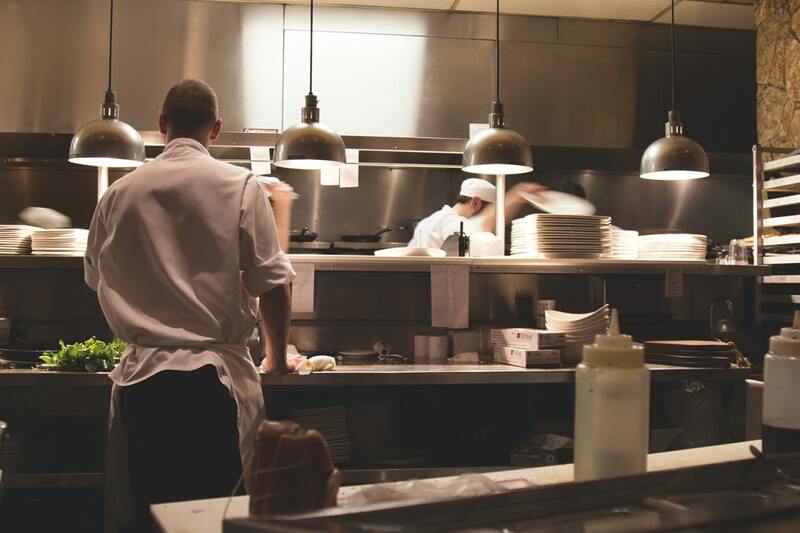 When kitchen staff can instantly recognize who the boss is, the chef can run the kitchen more efficiently. While the kitchen is full of places where the chef can store his or her tools for convenience, the pockets of a chef’s coat can be used to store smaller tools that the chef needs at a moment’s notice. This includes things like ingredients, recipes, utensils, dish towel and even phone. All this provides more convenience, which makes life easier for the chef. As you can see, the chef’s coat has subtle ways of making the chef’s job easier. It offers more benefits than the ones people see on the surface, making it even more of a must-have kitchen tool.